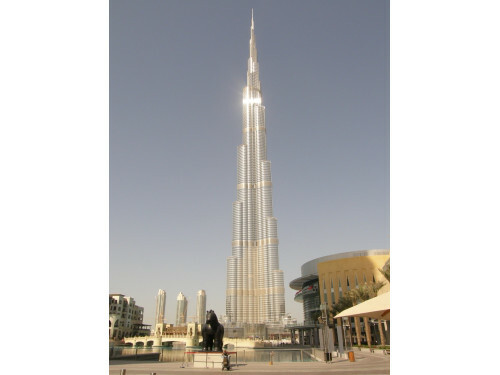 Burj Khalifa is the name of a skyscraper, which is built at present in Dubai United Arab Emirates the project company Emaar Properties. 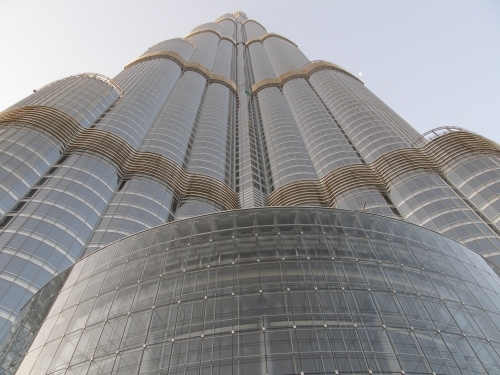 According to Emaar Properties it will be high at least 700 m and 154 floors, but estimations assume it becomes high 800 to 900 m. „The Entrance Pavilions “are the three entrance buildings for Burj Khalifa. These entrance buildings are approx. 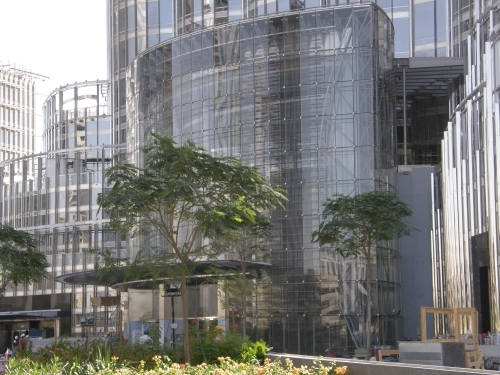 30 m high and over „Connection beams “with the Burj Khalifa Tower connected. 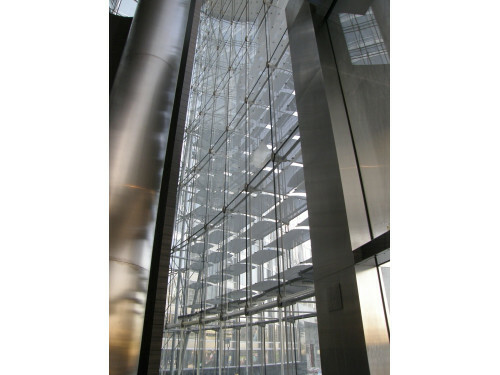 The front is high transparency, with glasses on vertically ropes and implemented with horizontal lying rods. 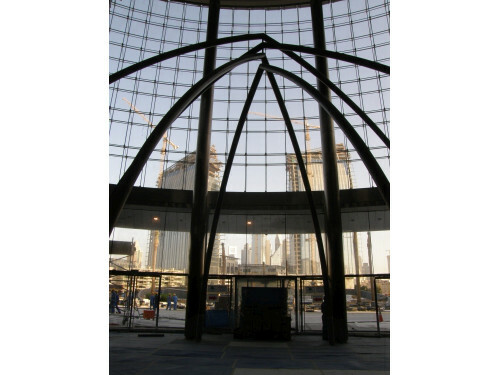 The linking up forces and wind loads are cleared away over the roof structure and the principal columns inside.